Just in at my library are two new cookbooks from the American Diabetes Association. Indian Cuisine Diabetes Cookbook by May Abraham Fridel (©2017, ADA, Inc.) and The Italian Diabetes Cookbook by Amy Riolo (©2016, ADA, Inc.) are written by two food authorities in their respective home cuisines. The books are bright, they’re attractive, the food looks decent and authentic. But what makes them “diabetes cookbooks”? What have they changed–or not–about the recipes and what was the ADA’s role other than simply publishing them? Above all, how helpful are they to an average diabetes or prediabetes patient? Both books start out with an explanation of their food traditions and what’s generally healthy about them. Both include a variety of food categories for different meals, from appetizers or chaats to mostly-protein “main” dishes to mixed casserole-type dishes to salads, breads, soups, cooked vegetables, fruits, baked sweets and drinks. The Indian cookbook also includes some useful spice mixes and tips on how to handle them, and the Italian one includes some traditional menu choices and tips on choosing wine. The recipes are generally very DASH Diet-able with an emphasis on a variety of vegetables, beans, whole grains, low-fat dairy, whole fruits and nuts, along with smaller portions of meat and cheese and less added sugar for desserts. On a closer read, the adaptations to recipes mainly look like sane portion sizing for starches and sweets, reducing or substituting poly- and monounsaturated fats for some of the saturated fats, cutting down excess sugars in sweets and desserts, adding fruit and vegetables, and substituting almond flour and dried fruits for standard flour and sweeteners. The recipes are adjusted just enough to be low in sodium and saturated fat, reasonable on calories, total carbohydrates and added sugars. The portion sizes listed are smaller than what you’d get at an American restaurant or see on a magazine cover these days but they’re close to the amounts people traditionally serve. So the nutrition stats are a general improvement compared with most current cookbook-style recipes for equivalent dishes, and it looks like the nutrition guides at the bottom of each recipe are relatively accurate given the ingredients. So far so good. If this was the ADA’s doing, I’m all for it. But it seems obvious to me that it would be better to trust the ADA reviewers’ understanding of diabetes nutrition than either cookbook author’s. I was surprised to find that the ADA let each of the authors go her own way on the introductions, and that the health explanations tend to be vague and cultural rather than practical. In the Indian cookbook, Fridel describes ayurvedic dietary principles rather than talking about nutrients. Riolo also veers off into a discussion of which appetizer traditionally goes with which first course and how to choose Italian wines in a way that doesn’t really have anything to do with target carb counts or exchanges for a meal either. You can discount or admire these things as you please, but you can’t really learn a lot from them diabetes-wise. They’re not really directed toward helping patients put together balanced, carb-controlled meals from the nutrition stats given with the recipes. Moreover, the ADA’s particular nutrition stats system lists “carbohydrate exchanges” separately from “starch,” “fruit” “vegetable” and “dairy” exchanges, even though most of the ingredients that fall into those categories contain significant carbohydrates. All of them have to be counted for diabetes management. It’s not clear why their system differs so much in this regard from the Academy of Nutrition and Dietetics’ standard “Choose Your Foods” exchanges system for carb count approximations. It works okay for figuring out standard servings definitions for the major food groups if you’re following the DASH Diet or USDA/HHS MyPlate plans, but it’s not really in keeping with the way endocrinologists and certified diabetes educators train Type I diabetes patients. It makes carb counting and carb planning for meals more complicated than it has to be. That can’t be a good thing. Also, simply giving the nutrition and exchanges stats for each recipe as it shows up in the book is not the same as teaching a new patient how to carb count or set up a balanced plate. Most of the dishes are mixtures of carb-containing and noncarb-containing ingredients–casseroles, soups with beans, meat and vegetables, biryanis, meatballs containing breadcrumbs, and so on. Those are some of the most difficult foods to estimate carbs for by eye, and it’s not visually obvious–or discussed in any detail–what the authors and their nutrition consultants at the ADA did to adjust these specific recipes. In this regard the ADA books are no worse than most “diabetes diet” cookbooks and magazine recipe collections, but they’re also not much clearer. Beginners really would do better to start with the carb and noncarb foods separated on the plate, at least until they get a feel for what to count and how much food to serve. What both of these books–and any others in the ADA series–could use is a short, clear explanation for how to work through the nutrition stats they give in each recipe and how to plan a nutritionally balanced meal around that dish to reach a target total amount of carbohydrate. A two-page standard ADA primer with a basic diabetes meal plan diagram, some suggested per-meal carb counts or carb exchanges, a balanced-nutrition plate à la ChooseMyPlate.gov, examples of where to look in the recipes for serving sizes and how to create a full meal from them, how to add things up for a meal’s total carb, etc., would help a lot. It might also be helpful to point out how to rework the meal plan if someone wants more than the standard serving amount or takes second helpings. All in all, these two cookbooks aren’t terrible as cookbooks, but they’re not nearly as helpful as they could be as diabetes guides. Ashkenazi (eastern European) Jewish food goes through phases of trendiness in America, and it’s coming around again. When I was about twelve, in the mid-1970s, The Jewish Catalog by Richard Siegel and Michael and Sharon Strassfeld sparked a renaissance of enthusiasm among younger and non-Orthodox Jews for everything from Israeli dance to Hebrew calligraphy to tying the knots correctly on the corners of a prayer shawl (the early 1970s was not just the “me decade,” it was also the era of macrame). Siegel and the Strassfelds took a DIY approach to creating a full Jewish life outside the shtetl. They made it hip, interesting and fun to observe Shabbat, understand the holidays, gather friends to plant trees, bless the sun and the new moon, cast bread on the waters, pen your own Hebrew inscriptions, and make–and of course blow–your own shofar. The book quickly became a top bar and bat mitzvah gift and influenced not only the way our synagogues practiced and our religious schools taught children but how young adults, affiliated or not, felt about being Jewish in public. Everything became more hands-on and more celebratory. What would a Jewish DIY catalog be without food? The diagrams for how to braid challah in three, four or six strand loaves were unprecedented. So were the cartoons, which leavened everything but the homemade matzah. Cartoon matzah balls flirted at the edge of the bowl before diving in, one of them tipping his kreplach hat. A man up to his armpits in a garbage can full of grapes asks if this is really the way zaydeh (Grandpa) made his Shabbos wine, and another explains ruefully to his girlfriend that he thought more yeast would make the challah lighter, not more aggressive, as it overflows the bowl and oozes toward his foot. 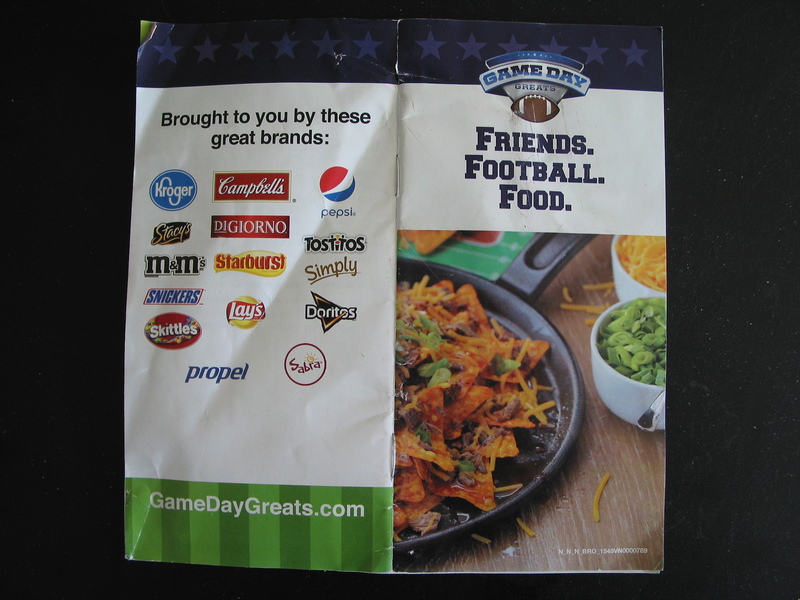 The Catalog also introduced a lot of people to their first taste of Israeli and Sephardi food–felafel and hummus recipes were included alongside the chicken soup and cholent, even though they were admittedly limited to ingredients most people could find in a suburban supermarket in the mid-’70s. All in all, The Jewish Catalog set a very high bar and is still something of a classic. By the mid-1990s, though, bagels were mainstream American food and very different from the real, crackle-crusted deal. Rye bread was soft and bland and delis were dying. Meanwhile, Sephardi and Mizrahi food were becoming more familiar and more popular in the US and UK. Prepared hummus started appearing in supermarket refrigerated cases along with spinach-artichoke party dips. Hummus from scratch started requiring dried chickpeas, not canned. In the past few years, delis have been making a comeback–though mostly not kosher ones–and so has traditional Ashkenazi baking, though mostly via cookbooks. Kosher and otherwise Jewish cookbooks of every culinary stripe have been churning out of the big publishing houses, and Jewish authors are prominent in vegetarian and vegan cooking as well. We’re in the midst of another DIY Jewish renaissance–though more foodie- than observance-oriented. The Gefilte Manifesto is one of the newest and possibly best of the books from a new generation of Jewish food artisans and restaurateurs, and it manages to capture some of the spirit of The Jewish Catalog. Authors Jeffrey Yoskowitz, a pickle maker and fermentation enthusiast, and Liz Alpern, a former aide to Joan Nathan, own and operate the Gefilteria, a millenial-style craft food business based on their gefilte fish and accompaniments. It currently combines a line of frozen gefilte fish loaves and jarred condiments with direct sales at farmer’s markets and pop-up catered events in several cities around the country. This book is the product of that collaboration, and it’s remarkable this year not least because its authors actually respect the traditional Ashkenazi foodways they’re representing. There’s no braggadocio (eep! hints of 3 pounds of bologna on white bread! sorry!) and no slavishness toward food glam, or what the Los Angeles Jewish Journal likes to call “foodie-ism.” They keep the recipes kosher and avoid the temptation (such as it is) to add tired treyf tropes like bacon or shrimp (although they do have some kimchi-infused recipes). Instead, they refresh the classics by making them fresh, with real ingredients and good technique. Gefilte fish becomes an elegant terrine with herbs or smoked whitefish (the authors’ limited-distribution frozen signature gefilte loaf, featuring a whitefish base and a pink salmon top layer, is also pictured in a picnic shot but not given a recipe in the book). Horseradish gets a citrusy twist, and pickles range from classic half-sour dills to cardamom-spiked pickled grapes. Soups–mushroom barley, borscht for those who like it (I unfortunately never have, except for the color), chicken, blueberry, and an unusual one–zurek, an unusual Polish soup based on rye sour starter. Kreplach–Jewish ravioli–join pieroshki and include both meat and vegetarian fillings. Yoskowitz and Alpern update cholent, brisket, chicken and tsimmes. They show you how to cure your own corned beef and pastrami, work out gribenes and knishes, and offer a selection of desserts both traditional–rugelach–and not so traditional, as in beet-chocolate ice cream. DIY pantry items like homemade sour cream and farmer cheese, spicy mustard, wine vinegar and “everything” butter join fresh salads and breads and several varieties of pickled herring or trout. Drinks include beet kvass–there’s a general direction toward fermentation, one of Yoskowitz’s specialties–and flavored syrups for nostalgia sodas along the lines of Dr. Brown’s Cel-Ray and Cream sodas. The book isn’t comprehensive but exploratory. Yoskowitz and Alpern trade cooking and tasting notes, childhood and family memories, and their experiences discovering and recreating Ashkenazi foods they didn’t necessarily grow up with. Along the way they adapt recipes and refer readers to a number of other Jewish cookbooks and authors whose ideas and food they’ve liked. The results are attractive, modern, humorous and appetizing. Except perhaps for the shot of the two of them grating horseradish–and wearing safety goggles and kerchiefs soaked in vinegar or, as Alpern puts it, “classic protest gear.” Altogether, a Jewish Catalog-worthy production. Yoskowitz and Alpern are touring the country this fall to promote The Gefilte Manifesto. Locally they’re staging a couple of tasting events across Los Angeles in early November and will appear at the San Diego Jewish Book Fair. I’ve just read Dr. Traci Mann’s popular book, Secrets from the Eating Lab, which came out in April (and is hence a “new book” at my library at the moment…). I had some real hopes for this book on dieting, obesity, and the psychology of eating. Mann has some fame in behavioral psychology, and her lab at the University of Minnesota is influential. Plus she just wrote an op-ed that Oprah Winfrey’s investment in WeightWatchers is a smart business move because diet failure, which leads to repeat customers, is a built-in and stated profit strategy for the company. Mann points out it’s the same logic that runs casinos. Big revelation? probably not, but still a good point and illustrative of the circular logic in popular American diet culture. So about Secrets from the Eating Lab. The tone of the book is personable and it’s a quick read–a couple of hours will cover it. But…it’s not really a very good book and it makes Mann look a little like the huge parade of airheaded “pundits” who show up on Fox News and Good Morning America and Dr. Oz to talk about emotional eating right before presenting a plate of “healthy treats” that turn out to be brownies. OK, it wasn’t quite that brainless. I even liked a lot of what Mann had to say about how to live an integrated life and not obsess over weight. But the book is a very good example of why someone who’s reasonably expert in one facet of diet research may not be the right person to interpret other areas for the public. The eating style of your companions is likely to influence you pretty strongly when you eat as a group. Her lab tested this in an entertaining series of experiments. “Determination and willpower” is more wishful thinking than a successful diet strategy for a lot of people, and structuring your environment is more effective. Keeping a bowl of treats even more than arm’s length away from you reduces your likelihood of grazing, and if you actually have to get up and walk to get more, you probably won’t. People eat more when distracted with screentime or eating while driving or whatever than when focusing on their food. Smaller plates lead to greater satisfaction with less food. Offering vegetables at the school cafeteria before serving the rest of lunch, and without competition from french fries, gains a much higher rate of takers than when there are other foods available. Announcing foods as “healthy” is a turn-off. Most intriguingly, “comfort food” is no more effective than any other food, or even no food, for recovery after an emotional shock. All of these findings mesh with common sense, and few of her recommendations are implemented as regularly as one would like in daily life at school or work. But the behavioral studies from her lab are only a small part of the book, one or two chapters in the middle. Where Mann runs into trouble is nearly everywhere else. Put bluntly, she’s way out of her depth in the larger world of academic obesity research, and neither she nor most of her readers or even, crucially, her book editor seem to know it. The main themes of Secrets from the Eating Lab are 1. that diets don’t work, 2. obesity is not the deadly killer everyone assumes it is, and 3. therefore you should stop obsessing and be healthy in other ways, for example by exercising to relieve stress. In the “diets don’t work” chapter, Mann scours the literature for a largeish number of diet studies in which subjects attempted to lose weight, then winnows the 300 or so studies down to about 26 that meet her criteria of a randomized controlled study with reasonable participant recruitment and retention. Although some studies demonstrated short-term weight loss or differential success between two test diets over the course of weeks, months or a year, longer followup revealed no net loss and a large degree of regained weight among participants, and most of the studies had a lot of dropouts before completion. Moreover, most were less than carefully conducted and relied on self-reported weight and diet recall from the subjects rather than weigh-ins and so on. When we think of Greek salads here in the US, it’s mostly horiatiki (a version of which is my current favorite lunch)–chopped tomato, cucumber, maybe peppers, some onion, feta and olives. Lahano salata, a shredded cabbage salad with lemon and olives, is less familiar and served, according to cookbook author Rena Salaman in The Greek Cook: Simple Seasonal Food, (Aquamarine/Anness Publishing, NYC ©2001), as a winter side dish–because you always have cabbage available, and lemons are a winter crop in the Mediterranean (and southern California). All you need to add are garlic, parsley, olives and olive oil and you’ve got it. Actually, that really sounds like a perfect summer thing to me. I picked up a green cabbage today at my local greengrocer’s because it was there, it was cheap, I already had a red cabbage at home for other stuff, and besides, you can’t just hang around your local greengrocer’s picking up seven or eight pounds of fabulously ripe Fresno tomatoes all on their lonesome every couple of days. People will suspect you of becoming a tomatoholic. You need to branch out. And besides, I’d already made a tomato-cucumber-pepper salad pretty much every day for the past two weeks for lunch (as noted above). Not that I’m bored with it, but it gives me permission to do something else for dinner. 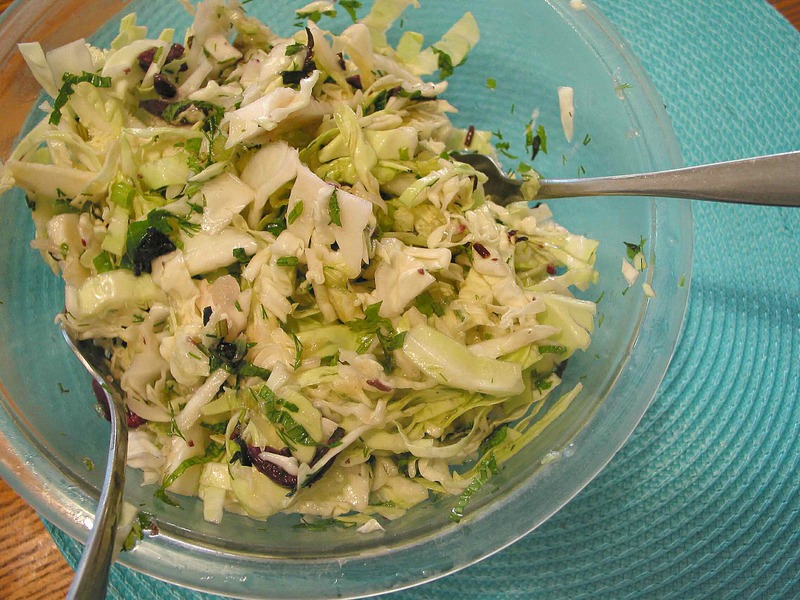 This Greek slivered cabbage salad is something I’d had in the back of my mind for half a year or so since paging through Salaman’s cookbook and its gorgeous food photos. But since it’s summertime, limiting the herbs to parsley seems like a missed opportunity when there are so many fresh herbs going wild in my fridge. Dill, basil, mint, scallions–my current favorite mix for the lunch salad would probably also be good with shredded green cabbage. So I did a variation using those and foisted it on my unsuspecting nearest and dearest, who were both in need of something lighter than usual for supper. It went pretty well and we all agreed it would be a good filler for the salad part of a felafel pita. I mixed this salad up about an hour before serving and stuck it in the fridge. I realized belatedly that the abundant lemon juice in the dressing would probably start wilting the cabbage, and it did slightly. It would have retained more crunch if I’d mixed it right as we were about to eat, but we still liked it and it wasn’t actually limp, just a little softened. I didn’t think the leftovers would hold up more than a day in the fridge but they did okay and didn’t wilt further overnight–perhaps because I poured off the excess liquid before storing the salad in a snaplock container. One thing I like about cabbages is that they go a long way. You can take a quarter, wrap and refrigerate the rest and it should stay good for a couple of weeks. You might have to shave off any dried-out cut surfaces the next time (certainly for red cabbage, which also discolors a little at the dried surfaces) but the rest should stay pretty fresh. Shred the cabbage finely with a sharp knife and chop into manageable lengths unless you like the shreds long (Rena Salaman’s book had a pretty photo with very long straight shreds, almost like angel hair pasta. She mentions that the cabbages in Greece are different from standard American or northern European ones, so that may be part of it. Ours are curlier when shredded). Add the herbs, scallions and olive slivers, squeeze on the lemon and drizzle on the olive oil, then toss with two forks until everything’s well mixed. You can let the salad soften a little in the fridge for half an hour or so, or you can serve it straight up while it’s still a bit crunchy–it’s good either way. After the optimistic start with the chocolate almond torte and the microwave shakshouka for one, I suddenly caught a bug–my husband caught it first, suffered a day or so, got better and then kindly passed it to me, and I ended up sick for the better part of the week. We all agree we got it from a kid he was sitting next to at seder. Now that our kid’s a teenager, we’re no longer used to it. Clearly we’ve gone soft. So I was–shall we say–less than enthusiastic about cooking the last week or so, and ended up with lots of ideas that stayed in my head while I stayed in bed, attempting to keep up on tea, rice, poached eggs and applesauce. And feeling really embarrassed that every time I opened the fridge and saw all the beautiful vegetables I’d bought for the week, I peered at them suspiciously–how much trouble would they cause me? Was it really a crappy virus or was it maybe secretly food poisoning, even though everyone else was able to eat? Maybe tomorrow–and closed the fridge door again and groaned. It took a couple of extra days to start looking at vegetables with any enthusiasm at all. This, I thought, is what most of the country thinks about fresh vegetables if a dolled-up superstar chef isn’t holding one on the cover of a glossy magazine (or even if he is). Maybe with a little less queasiness or dizziness than I experienced, but with that lurking suspicion that vegetables have dirt on them, that you have to wash them off and then cut them up and do something to them, that they’re not sterile and wrapped in plastic for your protection, and that it’s all too much bother. What a lousy, paranoid way to live. So anyway, now that I’m better the vegetables are looking good again, and the (four or five) leftover matzah boxes have been relegated to a top shelf for sometime when I’m not sick of them and want to experiment a bit for next year. Two bright and sun-filled new (or newish, anyway) cookbooks that make lavish and hearty use of vegetables were languishing on my desk for the entire week of Passover (and two weeks before that, when I was too busy to do more than look at them wistfully). 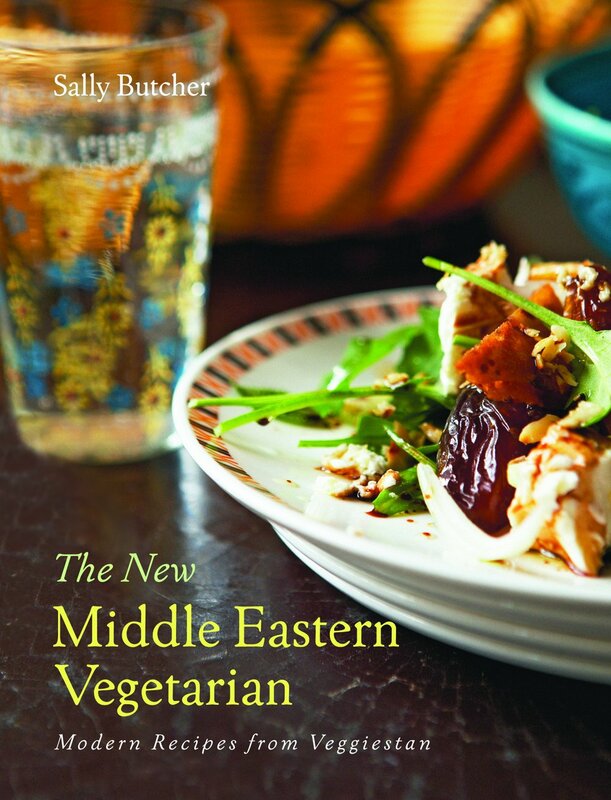 Sally Butcher’s Veggiestan is a collection of pan-Middle Eastern vegetarian recipes that centers on her husband’s family Persian cuisine and their experience as the proprietors of a Persian specialty grocery in London. Jewish Soul Food: From Minsk to Marrakesh is Israeli food writer/editor Janna Gur’s second major English-language cookbook, and it focuses on Jewish “grandma” food from all the cultures Israel is home to. Both books run something along the lines of Yotam Ottolenghi’s approach to food–appealing, vegetable-filled, exotic, and fun to cook and eat. But the food is generally simpler and homier, more traditional and with fewer trendy/haute touches or UK-specific ingredients like salsify or seabeans that you just can’t find most places in the US. Butcher and Gur each have a foot in both professional and home cooking, which may make the difference. The recipes here are not chefly so much as cookable. Eminently cookable, and they make me want to run right out and try so many things (especially if I can stuff any of the steps into the microwave) that I’m just going to have to get them both and give back my overdue library copies. 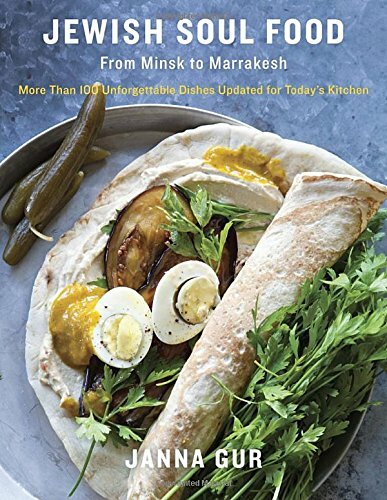 The authors share an approach to traditional and modern Middle Eastern food that is enthusiastic, knowledgeable, ecumenical and–I’m not sure how to say it exactly, but neighborly comes close. Reading these books is like hanging out in the farmer’s market and the kitchen with a friend who knows how to make all the dishes your grandmother might have made but never showed you.